I got this recipe from Donna at My Tasty Treasures. She always has so many great recipes on her blog and this was no exception. Check out her blog if you haven't already! When I saw this recipe, I knew I had to try it and I am so happy I did. 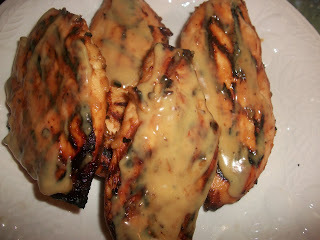 My husband and I love honey mustard on anything! This recipe is a definite keeper and I will be making it often.